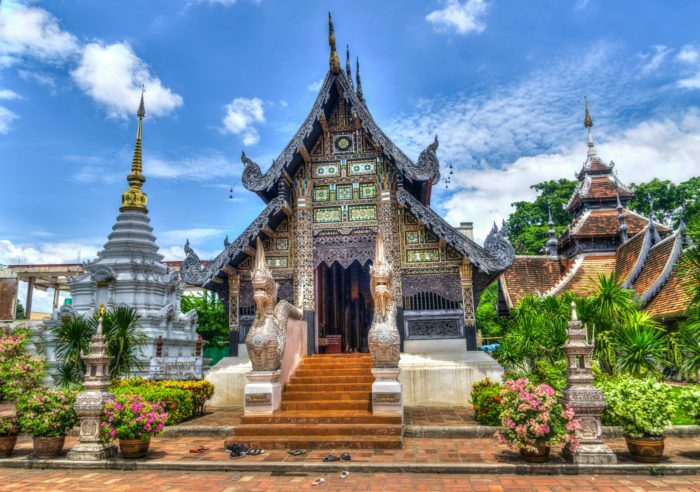 Thailand totals 198,120 square miles and is the world’s 50th largest country. It is slightly smaller than Yemen and slightly larger than Spain. This incredible country has a long coastline that borders both the Andaman Sea and the Gulf of Thailand, both of which are home to some extraordinary dive sites. The Andaman Sea is a natural resource and hosts the most popular luxurious resorts found throughout Asia. These include Phuket, Ranong, Phang Nga, Trang, and Krabi, with their islands scattered along the coast of the Andaman Sea. 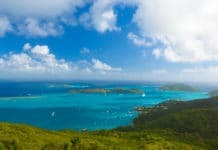 These areas are a magnet for divers and tourists from all over the world. As well as incredible dive sites, Thailand’s attractions include; stunning sandy beaches, hundreds of tropical islands, archaeological sites, buzzing nightlife, hill tribes, Buddhist temples, museums, amazing wildlife both underwater and topside, several world heritage sites and awe-inspiring palaces. May tourists who visit Thailand are drawn to taking classes in Thai cooking and many divers look to increase their knowledge and skill set, taking the next diving course available to them. If you’re planning a trip to Thailand, the best time to visit is from October to April, especially if you’re looking to dive in the Andaman Sea. If you’re planning a trip to the Similans, the best time to visit is in March and April, when giant Manta Rays arrive. As soon as you hit May, heavy rainfall tends to hit the west coast and continues on through to September. Unfortunately, the marine reserves, which are home to some of the top dive sites in the area are usually closed from May through to the middle of October. 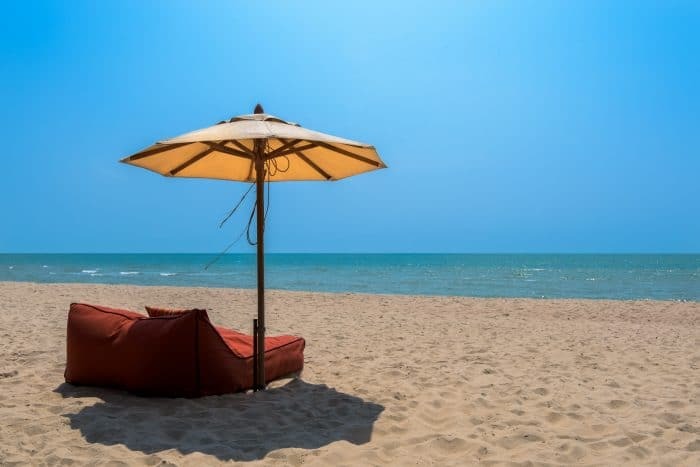 If you’re still planning a trip around this time, then the better option may be traveling to the Gulf of Thailand, which is the east coast of Thailand. The best diving spot in the east is around Koh Tao, however, remember that this area can get extremely crowded. 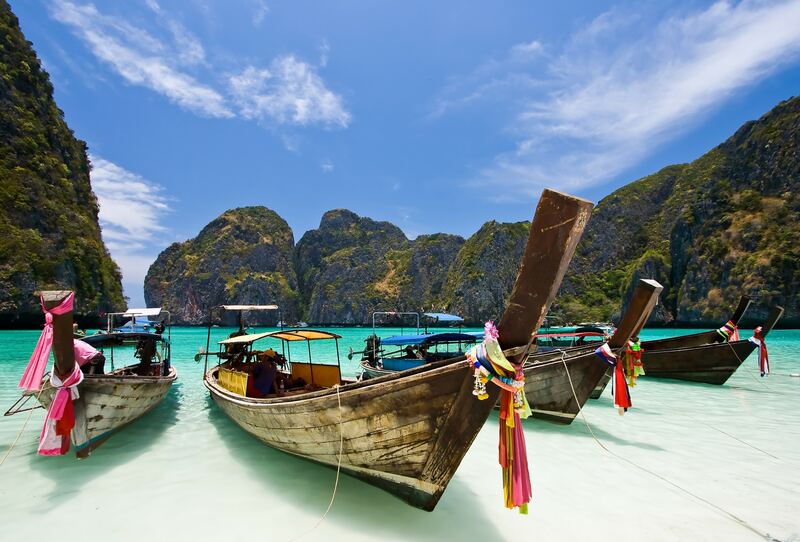 Thailand is known for its exceptionally clear and warm waters, averaging out at around 28oC. The Thai people are known for their hospitality and the food is nothing short of unreal. The Thai government operates strict controls within the marine national parks and protects their coral reefs. Their strict rules include; all boats must be maintained to a high standard, feeding marine life is strictly forbidden and no rubbish is to be thrown overboard. The maximum depth for diving within the marine parks is 40m, and there is a limit on the number of dives you can do per day, with the maximum being 3. 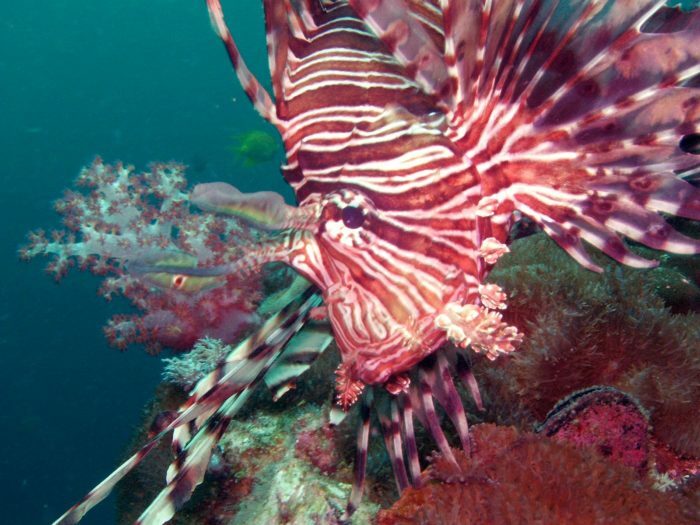 There are 17 marine parks in the Andaman Sea and 10 in the Gulf of Thailand. 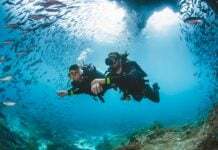 Thailand has something for every level of diver out there, whether you’re a newbie, looking to grow your skill set, or an experienced diver looking for adventure. Thailand has over 224 miles of coastline to explore and under the surface is home to beautiful reefs, walls, drift dives, caves, drop-offs, swim-throughs, wrecks, and pinnacles. Hin Mouang and its sister dive site Hin Daeng (Red Rock) are world class diving sites that have earned their right to be on this list. They are located quite a way out into the Andaman Sea, around 16.5 miles off the coast of Koh Ngai. The weather may be against you when traveling out to these dive sites, so it’s always best to do them at least twice during your stay. 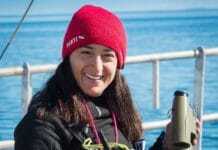 They are both feeding grounds for large pelagic fish. Hin Mouang is home to huge underwater pinnacles that head in the southwest direction. The sheer numbers of fish that swim in this area are mesmerizing. At this site, you’ll also find beautiful anemones that stick together to form a carpet of color. Soft corals and gorgonians are a-plenty making this dive site perfect for all those budding naturists out there. This dive site is also home to the unusual Bryazoan, which are mounds of white, straw-like creatures that can be found at around 8m. This is also the site of Thailand’s deepest drop-off, where you will see Shark, Tuna and huge Barracuda. If you’re planning a trip to Thailand, make sure you don’t miss this incredible dive site off your list. Hin Daeng is the neighboring dive site to Hin Mouang and is made up of walls, rocks, and plateaus. You’ll find a vast array of marine life at this dive site including Barracuda, Octopus, Shrimp, Crayfish, Leopard Sharks, Morays, Grey Reef Sharks and so much more. Nurse Sharks are occasionally spotted around the southwest cave, at around 10m. The purple corals in this area are beautiful; there is so much to see at this dive site, so make sure you don’t miss it. This top dive site is located close to Koh Tao, Koh Phangan and Koh Samumi, which are all huge tourist attractions and not hard to get to. This is a well-known dive site with its central point being an enormous granite pinnacle that is peppered with beautifully colored anemones. Surrounding this large pinnacle are several smaller ones, which form a circle around it. Whilst diving at this site you’ll swim through big schools of Snapperwell as Barracuda. 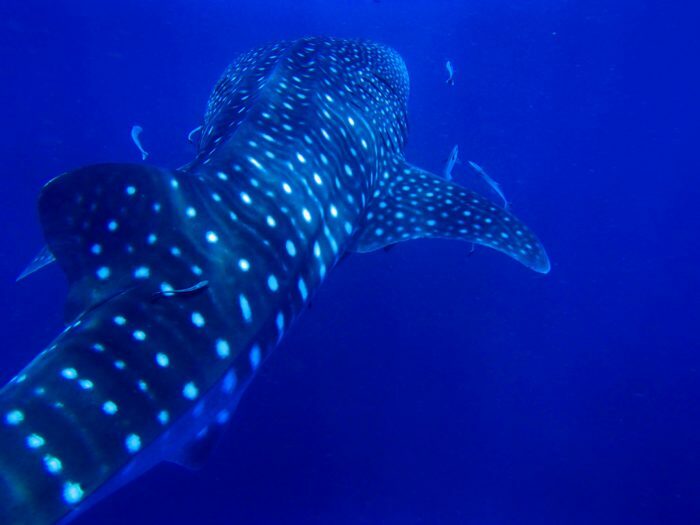 If you’re lucky you might see the occasional Manta Ray or Whale Shark. 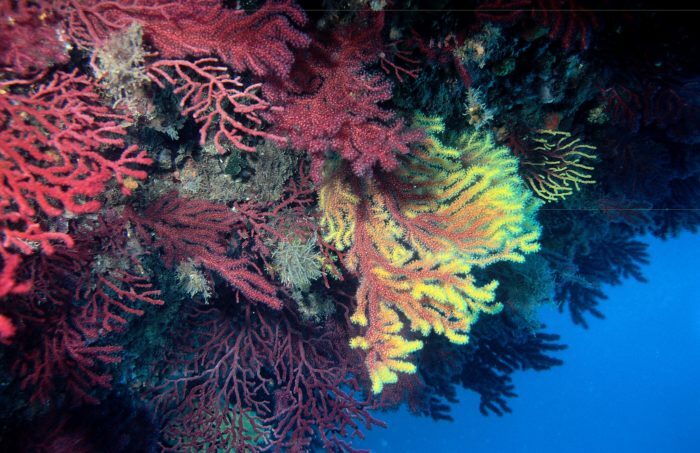 The site is home to a number of soft and hard corals including branch corals, barrel sponges, and sea whips. Koh Kradan Wreck is said to be a Japanese Destroyer, which is found off the Coast of Koh Kradan Island. There are a large number of fishing nets found over the stern of the wreck. The visibility is usually not so great once you get below the thermocline at around 15-20m, making it hard to see the wreck in all its glory. However, this location is known for its occasional sightings of Seahorses. Check the ropes surrounding the wreck carefully as this is where you’re likely to find them. 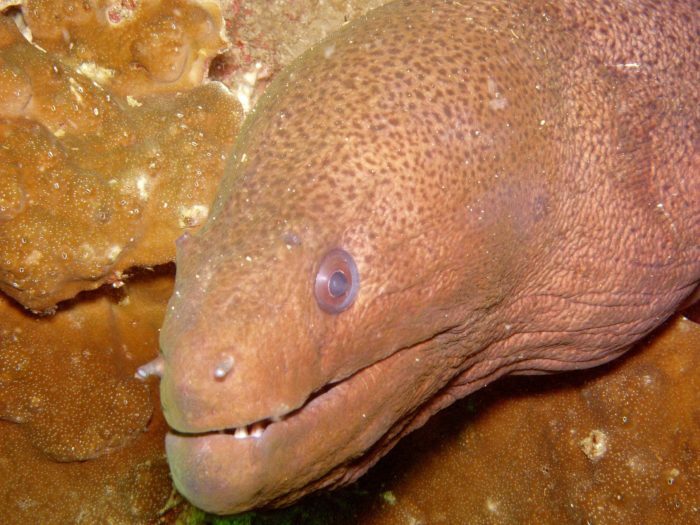 There are also a number of soft corals, giant Moray Eels and huge groups of schooling fish found in this area. The HTMS Sattakut is one of Thailand’s most visited wrecks, which stretches for 48m in length and 7m in width. It previously started out as the USS LCI-739 and was sunk in June 2011. The depth of this wreck is 30m and it’s located off the coast of Koh Tao. Although this dive site is relatively new, it still hosts an abundance of marine life and corals. She has 2 cannon guns. 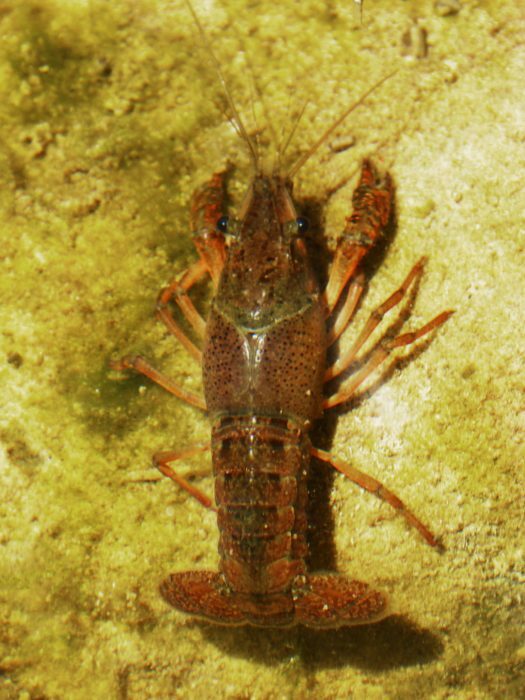 The first is located at the Bow at around 20m. Right underneath the gun platform is one of the penetration points, however, it is not advised to attempt penetration unless you are PADI Wreck Certified. The second gun is located at the stern at approximately 24-25m. It’s not as large as the one attached to the bow, however, it is still an interesting sight to see. This wreck is home to huge schools of Fusiliers, Barracuda, Grouper, Moray Eels, Blennies, Lion Fish and Yellowtails. Koh Haa dive site is easy to reach from Koh Lanta and Krabi. This dive site comprises of 5 large rocks, which have been separated into several dive sites. These sites include caverns, caves, swim-throughs, drop-offs and a huge amount of marine life to feast your eyes on. Home to the incredible Ghost Pipefish, you won’t fall short of things to see. 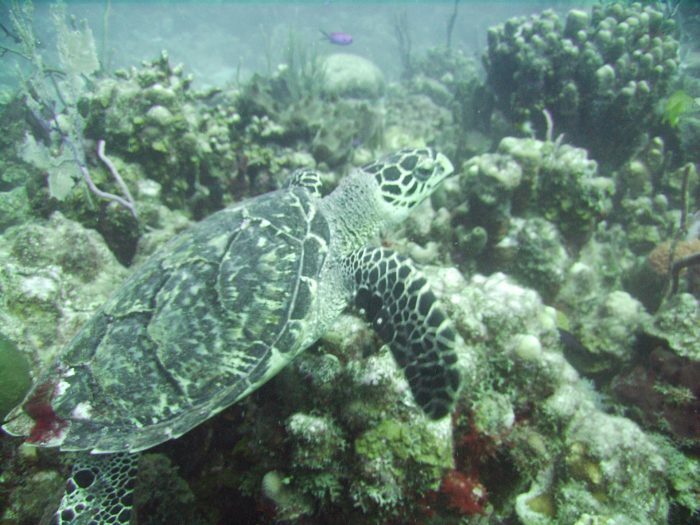 The Hawksbill Turtle has been seen occasionally at this site, which is always a bonus. This dive site is also a Manta Ray cleaning station; so keep an eye out for these majestic giants. 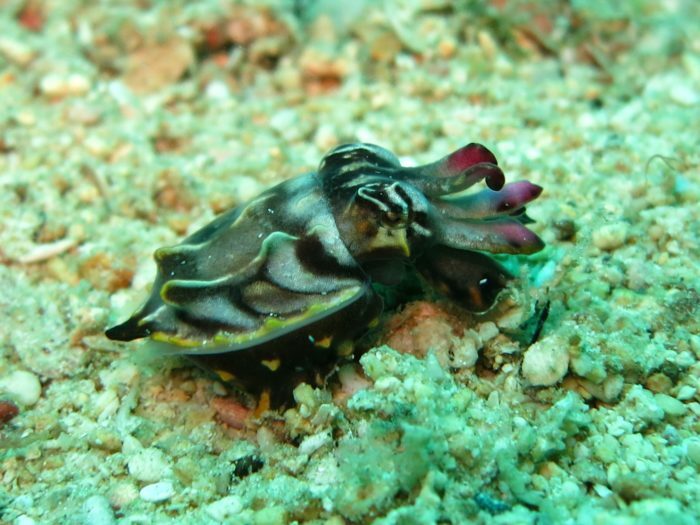 It’s a rare sighting but if you get to see a Flamboyant Cuttlefish, you’ll never forget it. Located approximately 120miles off the north coast of Phuket lies Richelieu Rock, a horseshoe-shaped rock that might just be the most famous dive site throughout the whole of Thailand. If you get the incredible opportunity to dive here, make sure you look out for large marine life, such as Barracuda tornados, bait-balls of tropical fish and huge Whale Sharks. As well as finding the giants of the ocean, you’ll also find Seahorses, Pipefish, Cuttlefish and Shovelnose Rays. If you’re really lucky, you may get the rare opportunity to see the Flamboyant Cuttlefish in all its glory. This is definitely not a spot to be missed. There are so many incredible dives sites found throughout Thailand, so if you have one that hasn’t been mentioned on this list, then let us know about it in the comments below. According to The World Factbook Thailand has over 2,000 miles of coastline. Similan islands are definitely a must go, also Koh Lipe and the Andaman sea in general.